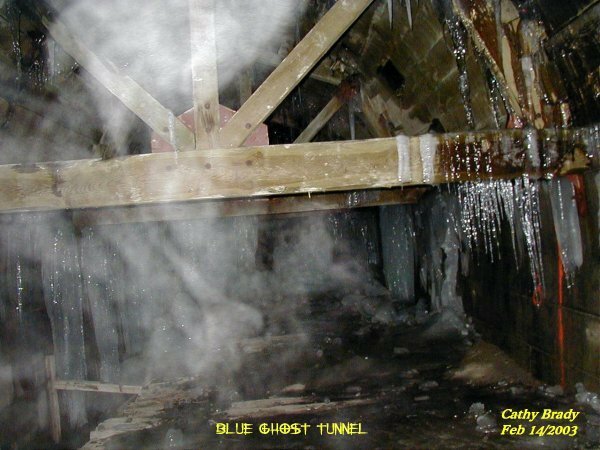 Cathy took this picture of some ecto mist near the back of the tunnel. The ecto seemed to be moving across in front of her. To the left of the photo a strange ecto form started to emerge. 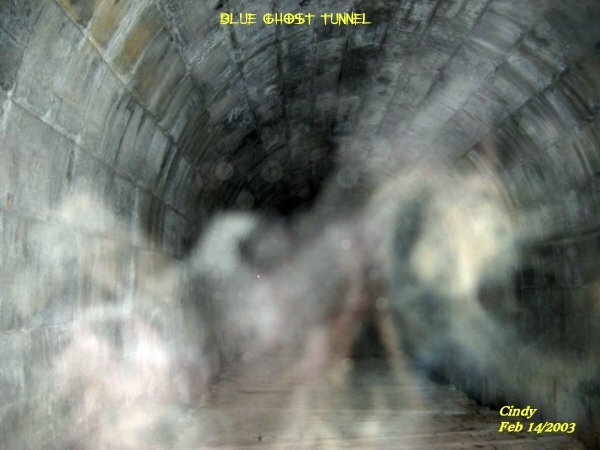 Just what this spirit was transforming into is still a mystery. 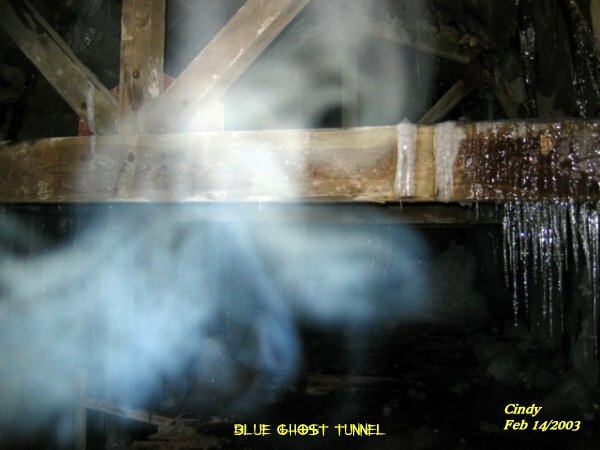 Near the top of the beam you can make out a face in the blue ecto plasm. Notice the energy within this ecto. 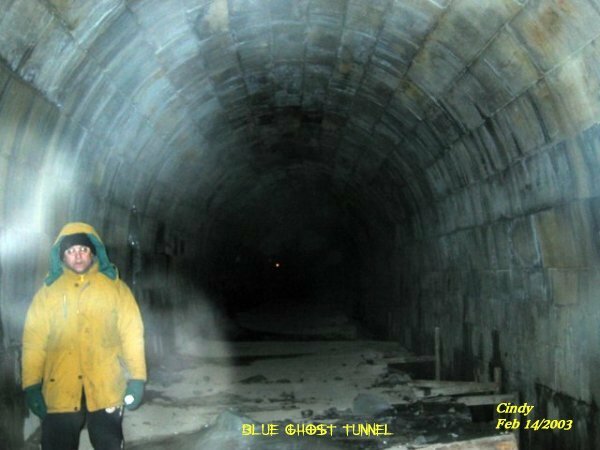 Chris was standing in the tunnel trying to tune in to the strange world of the paranormal. Cindy managed to capture something around Chris as he was standing. The ecto mist seemed to be all around him for some reason. This photo proved to be interesting. In the center of the energy form it almost looks like a dragon's head looking down on Chris and Alicia as they sat on the stools in the tunnel. This entity had a lot of energy strands to it showing in vibrant colors. Just before leaving Cindy managed to capture what appears as a dog, yet the head is in skull form. Was it a dog or some other animal or creature? 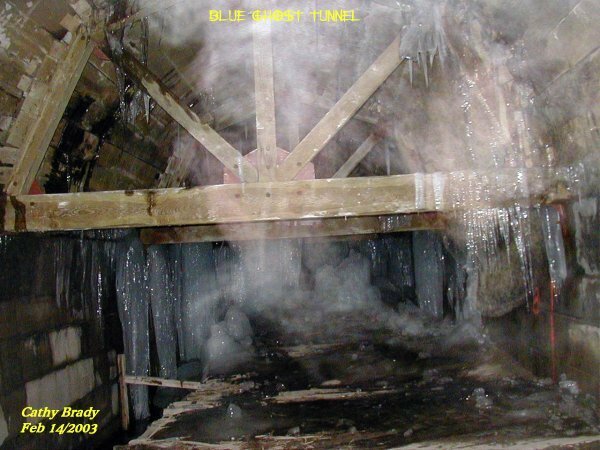 This investigation proved to be a good one, for everyone had an experience of some sort in the tunnel. Some folks ask us, why do you keep going back to the same location? 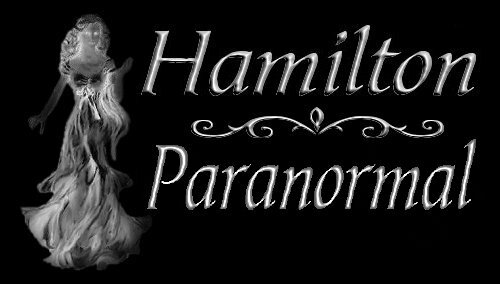 We believe that the more you go back to an area that has paranormal activity to it the more the spirits that occupy the area will show themselves. This has proven itself over time with all the investigations we have done. 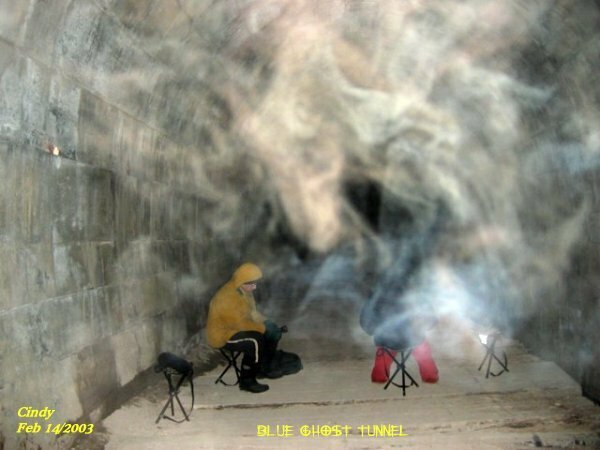 We also become more attuned if you will to the area, and we feel sure that the spirits that roam a certain location remember those who visit the site.